Now that you've got drawing materials, it's time to learn how to use them. It is very important to use them the right way as the hand is 'the eyes' of the brain. When we write and draw, we stimulate our brain in a certain way, and that's important for our development. We said a few words in this post how to hold a pencil, but since I was talking to a brain specialist who also mentioned the importance of the correct use of a pencil, we decided to say a few words more, now that the school has started. 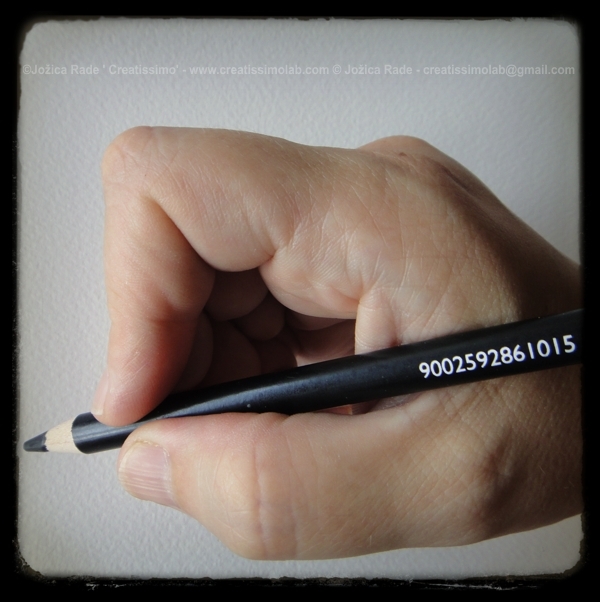 We help ourselves to put a pencil in a hand with our left (or opposite) hand. We set it out like you see on a picture bellow: it rests on a middle finger and on the spot between thumb and forefinger. 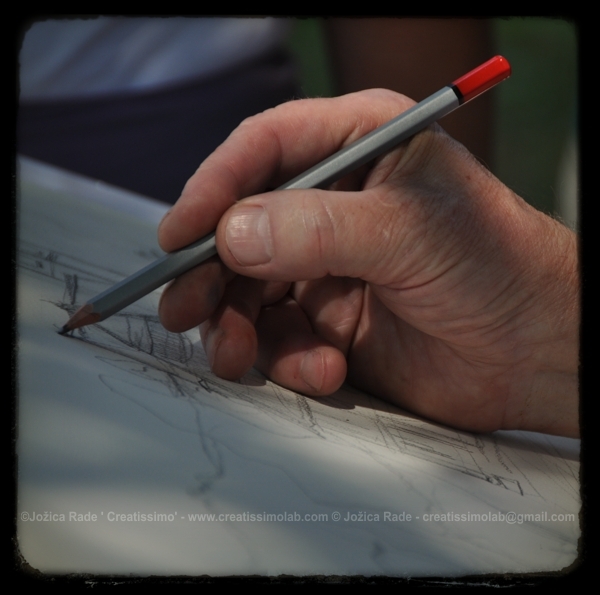 Then you just hold the pencil with thumb and forefinger. 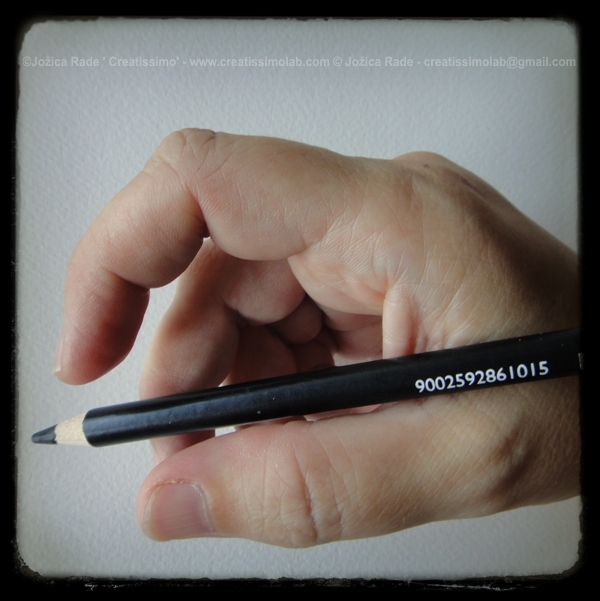 On the pictures below you can see how the hand looks like without a pencil. You can see we use three fingers. 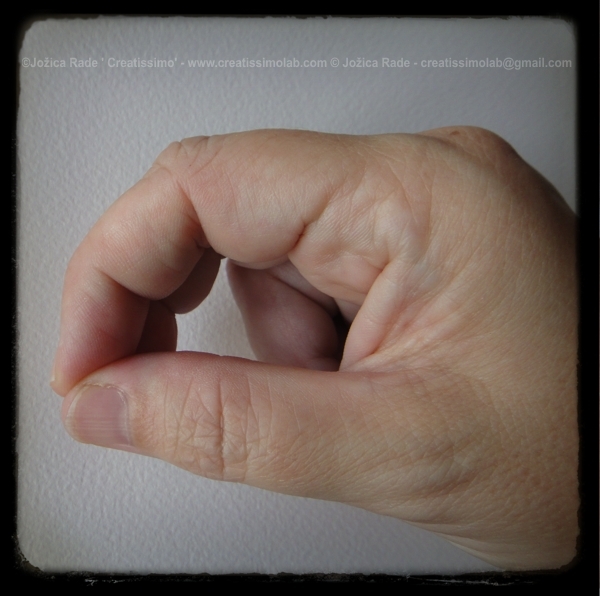 The middle finger is for a support, so it is not set right next to a forefinger. We push it a bit more toward the inside of the hand. With the thumb and forefinger we create so-called pipette hold. Here is one of the tips how you can help yourself or your children to learn and practice for a pipette hold. 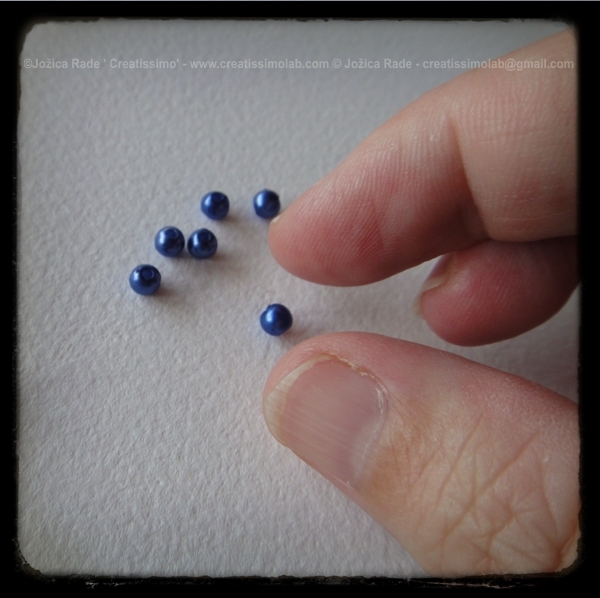 They should thread beads or other small objects, where they need fine motor skills. If you make sketches with your drawing materials, you can hold your pencil more loosely - like you see on the picture below. We hope, the post was helpful. If you have any other tips, suggestions or comments, let us know - our mission is to help as many people as we can and to help each other. Thank you! Posted on September 5, 2011 by Creatissimo - Jozica Rade and filed under children, creative lecture, education, how to..., materials and tagged school montessori learning hands.